Easy Clean - Upholstery Shampoo - A concentrated, high foaming, heavy duty cleaner with optical brighteners. 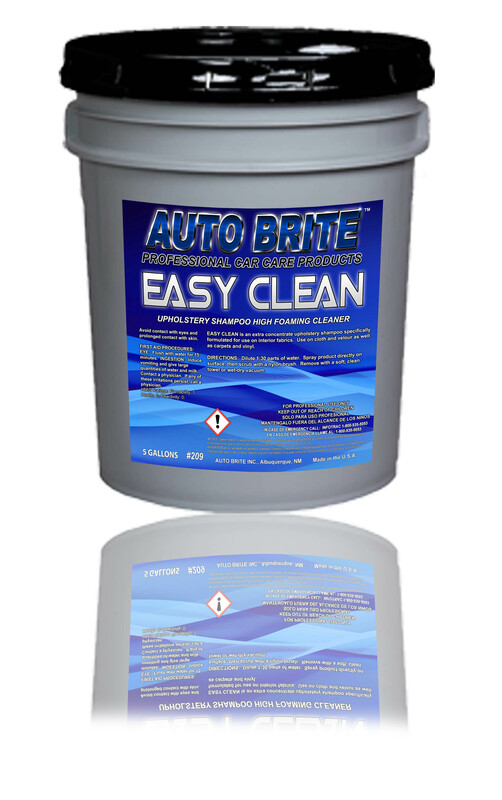 Designed to dissolve the toughest dirt and grease. Recommended for all synthetic carpets and upholstery. Not recommended for use in extraction equipment.